This poetry book consists of works that deal with the issues of life and death from a Christian’s point of view. This is the first time the poet’s work has been published in English. Review Committee of Korea Modern Poets’ Association. 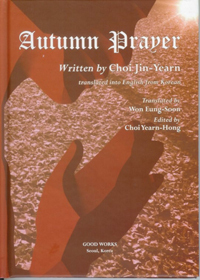 He made his literary debut via the Poetry Monthly Magazine, “Simunhak” in 1973.
a chief editor and publisher. As a poet and writer, he has published 10 collections of poems and three collections of essays. This autobiography tells of some 50 years of hardship endured by Yoo Young-bok, a prisoner of war of North Korea who was forced to live in the Stalinist state. 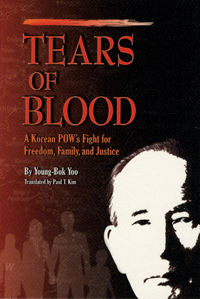 Starting on June 25, 1950, when the North crossed the 38th parallel to invade the South, Yoo tells how he was conscripted by communist sympathizers for the North Korean army when they occupied Seoul. His story is far from simple: captured by the South after he defected, he settled in Seoul and was reunited with his family, only to join the South Korean Army again. He was then captured by the Chinese and handed over to North Korea. During his ordeal, he was stripped of all free will: forced to watch and take part in a battle of different ideologies, and fought on both sides of opposing groups of people. There is the familiar family tragedy here that accompanies war. A tale told multiple times in all nations fraught with disaster, yet Yoon’s is still sad because it is true, and told simply. Kim, the translator who was only 16 when he first read the Korean original, said he felt he must translate it as he was “awestruck” by Yoo’s “human story.” Few readers will disagree. 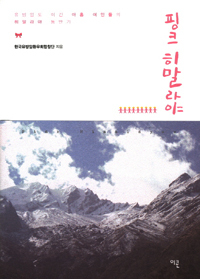 Korea Breast Cancer Patients Society Choir, founded in 2005, wrote this book to tell readers about the lives of nine Korean women who have battled breast cancer for years. All of them challenged themselves; they climbed a mountain in the Himalayas, together with doctor Noh Dong-young of Seoul National University Hospital. The book “Pink Himalayas” includes the ups and downs of their life including the times of hardship and struggles. And each one of the nine in the book, presents a unique personal story. They discuss their first reactions to the dreaded news of the reports of their diagnosis, how they have lived through the pain and the lessons learnt from the ensuing struggles. The catching point of this book is the fact that it goes beyond mundane narrative of cancer complications but delves deep into the philosophical depths of life and above all offering an exhortation to all readers.